A magnificent setting for large banquet-style celebrations, Grand Acacia Ballroom can accommodate up to 450 guests for round table setup. 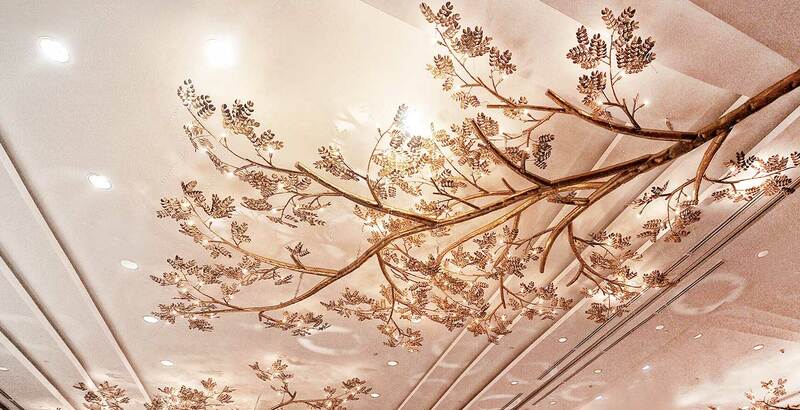 Its iconic chandeliers that sprawling Acacia leaves and branches definitely make any occasion such a sight to behold. 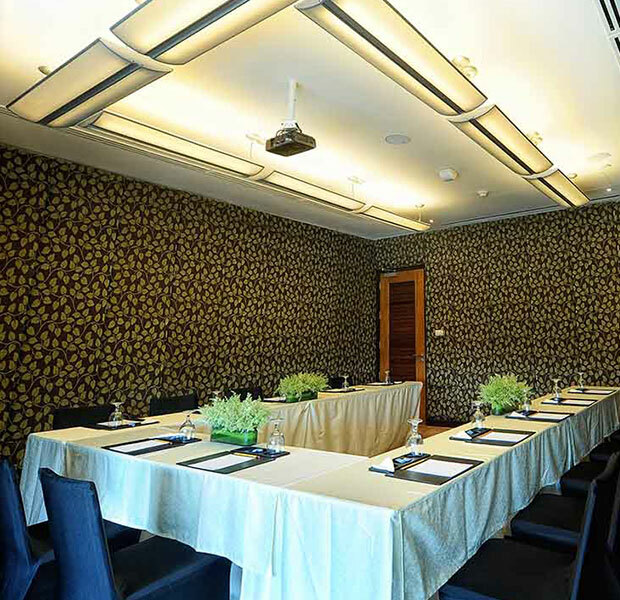 Both located at Mezzanine 1, the Yuca and Oliva function rooms are best suited for pocket meetings and intimate dinners. The spacious foyer in front of these two rooms overlooking the lobby at the ground floor can also be utilized for other activities. 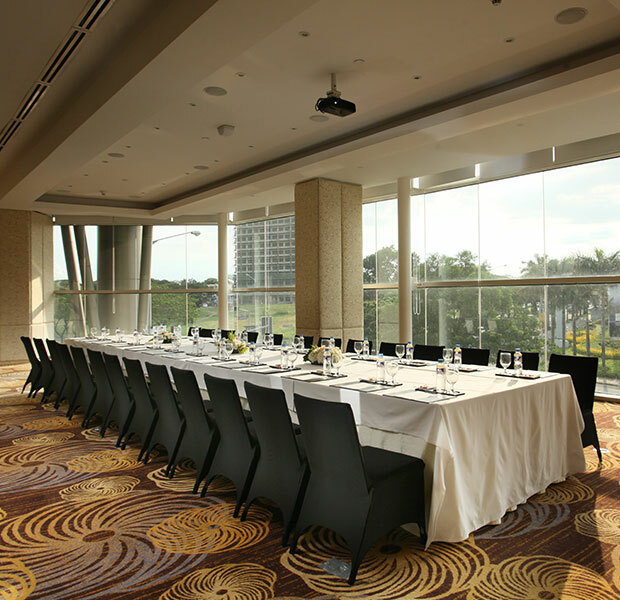 The Kamali at Mezzanine 1 features floor-to-ceiling glass walls, offering a panoramic view of Alabang’s lifestyle hubs and brightening up every meeting with natural light. 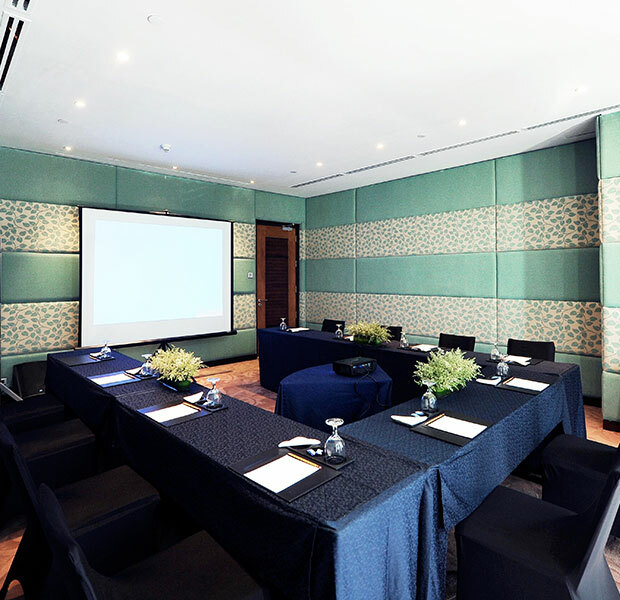 The 108-sq.m function room can host meetings and events with up to 50 guests. 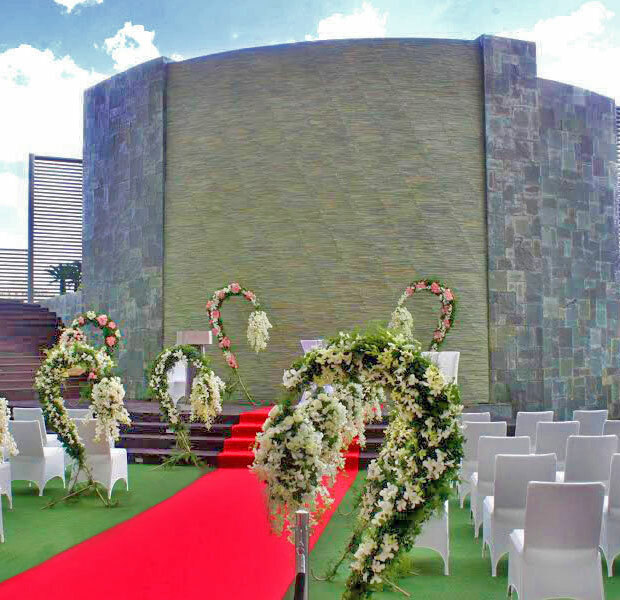 Outdoor events can be held with verdant greens, luscious earth tones, a stunning brick-waterfall backdrop, and a view of the city’s skyscrapers in the Samanea Garden, which is just perfect for wedding and debut receptions, among others. 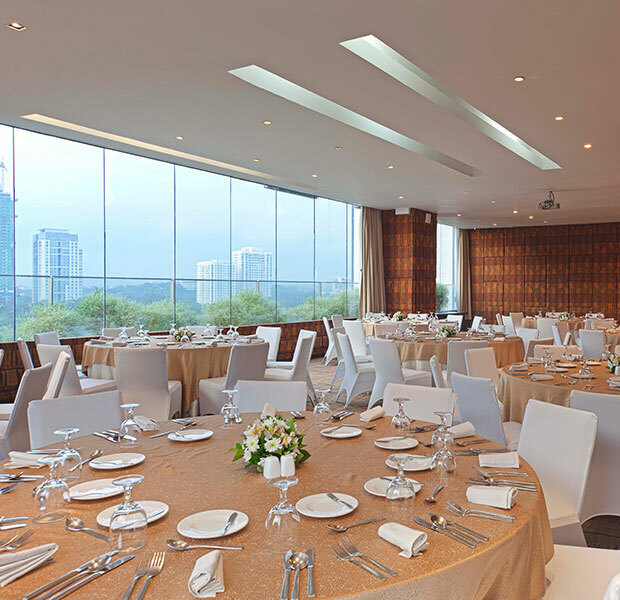 Located near the swimming pool at the 3rd floor, the al fresco venue can accommodate up to 100 guests. 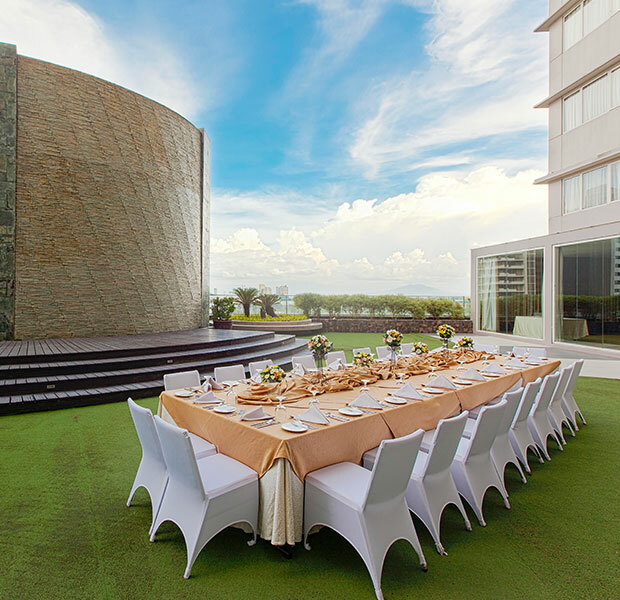 Situated just beside the Samanea Garden is the 137-sq.m Guajes function room, which can host corporate events and celebrations with up to 80 guests. It also features floor-to-ceiling glass walls, providing a view of the bustling Commerce Avenue leading to Festival Alabang. Perched on the topmost floor of the hotel is the Sequoia Ballroom, an expansive 360-sq.m function room that can accommodate 200 guests. Its floor-to-ceiling glass walls offer a jaw-dropping 180-degree view of the metro south. 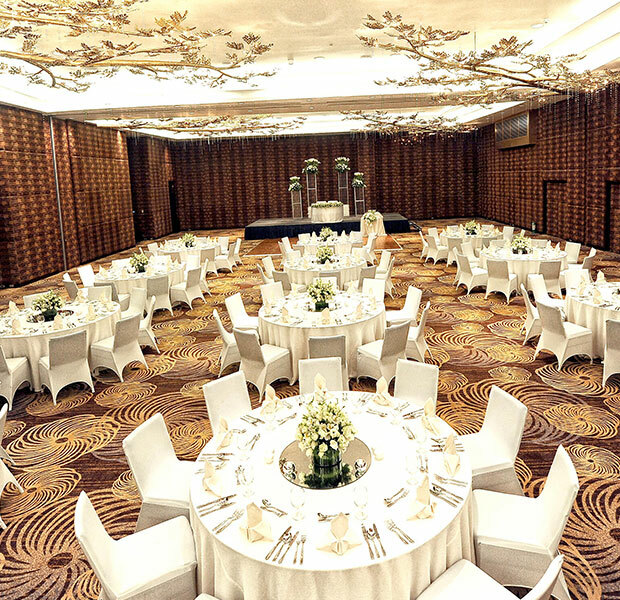 It also features the iconic Acacia chandeliers, adding a sophisticated feel to any kind of event to be held here. Adjacent to the Sequoia, the Alto has a 157-sq.m space and can host up to 80 guests. 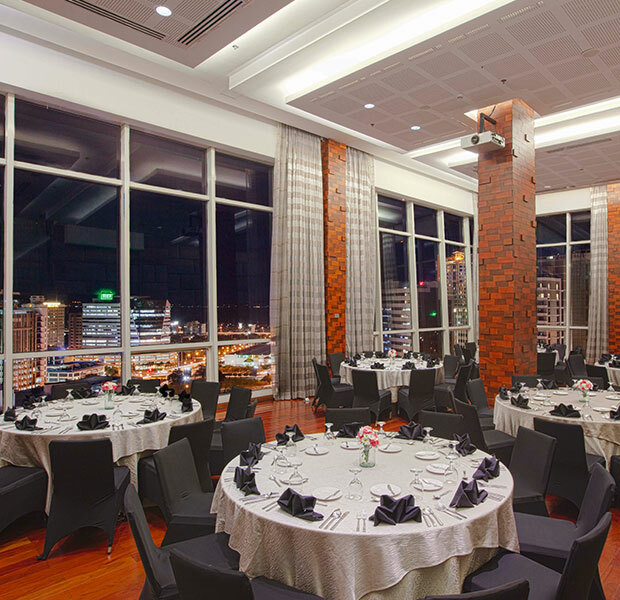 It is the only function room that has a wooden parquet and an elevated VIP lounge. Perfect for celebrations and cocktail events, the Alto also provides an alluring vista of the city. Our formula is simple. Impeccable venues. Exemplary packages. Outstanding catering. 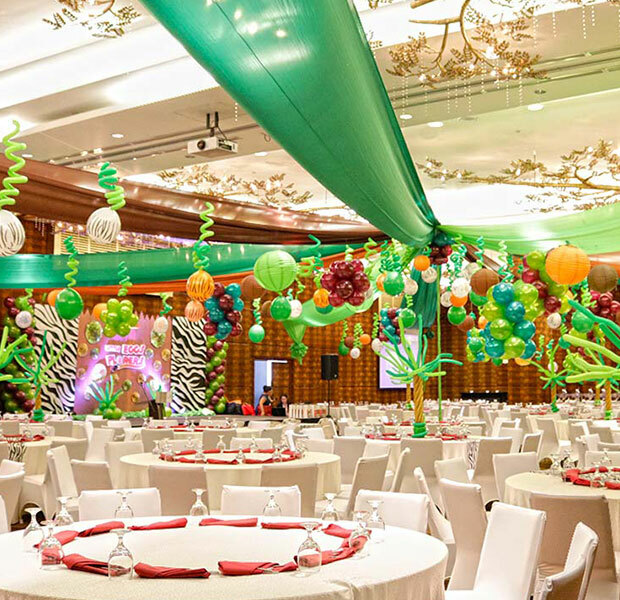 Dedicated and detail-oriented event specialists. And lastly, the signature Acacia way of service. Whatever you need for your wedding, expect nothing but the best from our passionate team. If our walls could talk, they could definitely tell more than a hundred tales of precious moments. Toast to new beginnings and let your fairytale come to life in a majestic venue that’s fit for royalty. 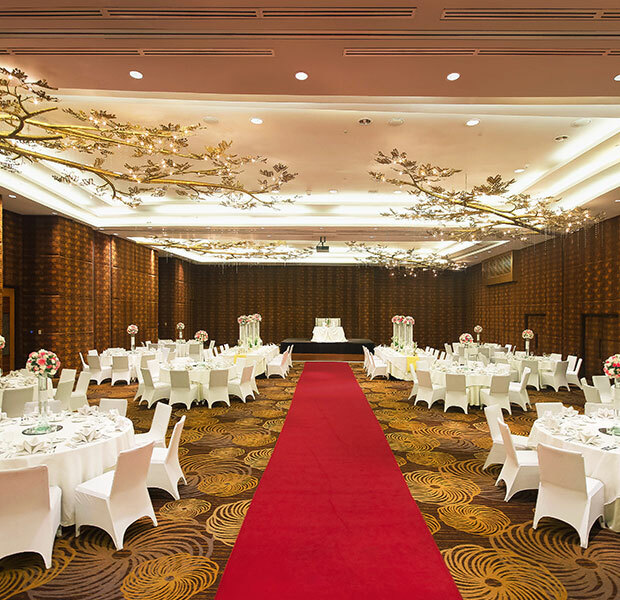 Behold Acacia Grand Ballroom, a magnificent setting that can host banquet-style celebrations of up to 400 guests, illuminated by gorgeous chandeliers with a design inspired by golden, sprawling Acacia leaves and branches. Let the new chapter of your magical love story begin. Your wedding deserves a great reception venue, a romantic setting for blissful memories to last for a lifetime. 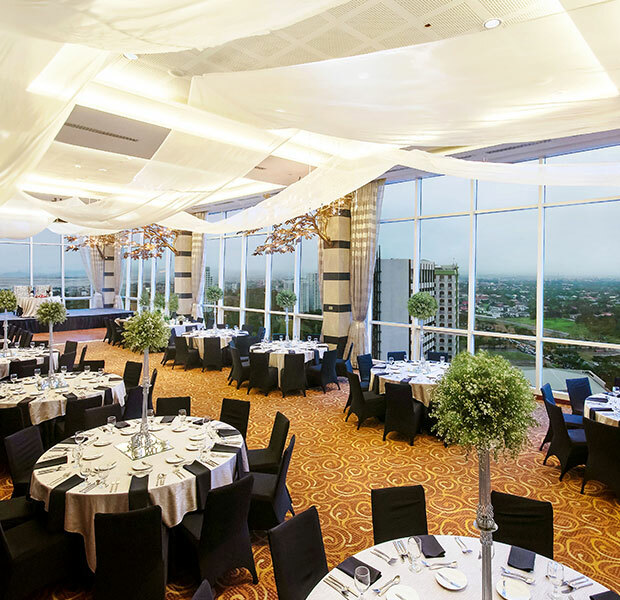 Celebrate an unforgettable fete in the Sequoia Ballroom, perched on Acacia Hotel Manila’s topmost floor, featuring sophisticated interiors, floor-to-ceiling glass walls, and a panoramic view of Laguna de Bay and the urban South. Turn your yearnings for a garden wedding ceremony into a reality. Celebrate your “happily ever after” and let your heart flutter with joy under the sunset sky or the evening stars, with verdant greens and luscious earth tones in Acacia Hotel Manila’s endearing garden called Samanea. May it be an intimate party, a birthday bash, a debut, or just a gathering of sorts, allow us to assist you to ensure stress-free execution. Do business where you feel right at home and where your surrounding inspires you to think and work. 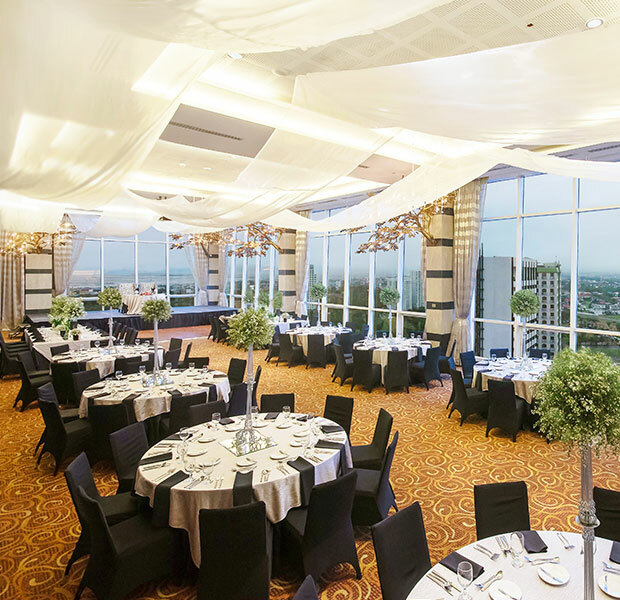 At Acacia Hotel Manila, our venue, food, and service play an important role in reaching your goals. Leave it to us to deliver what you need while you focus on more important matters.